Create a cute turkey centerpiece for the holidays! Gooble gooble! No sewing machine required. Turkey is created using a whipstitch done by hand. Fun and easy pattern for the holidays! 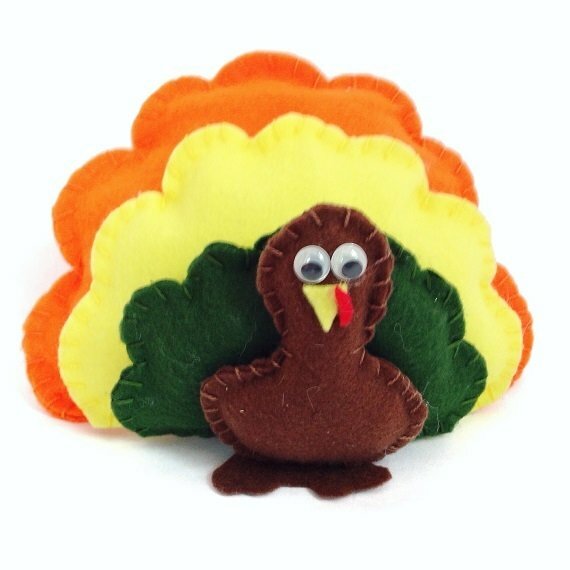 - 1 PDF sewing pattern with instructions and pattern pieces to make a felt turkey.